Sandra White began quilling as a hobby thirty five years ago. Gradually she has turned her love of nature and paper art into an online and craft show business via membership in the League of New Hampshire Craftsmen. After experimentation with combining quilling and cut lampshades, Sandra developed her unique method that marries attractive hand cut mat overlays with quillwork detailing. 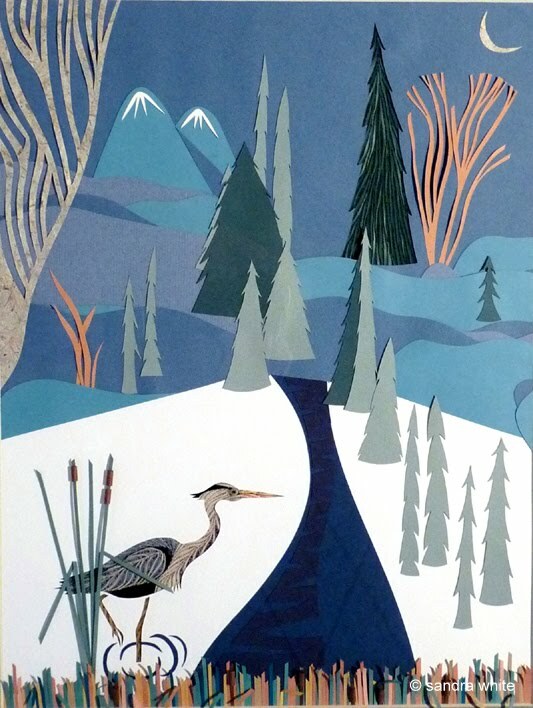 Her contemporary designs incorporate paper sculpture and paper cutting in addition to quilling, and many feature wildflowers, birds, and wildlife animals. The streamlined shaping of paper coils provides the effect of veins in flowers and the fur and feathers of animals and birds. Sandra says this process has taught her to 'see again' as she goes about creating each scene, working to get the most effective color shading. She begins by designing the cut out, then transfers the outline onto a background mat and fills the space with quilling. Sandra uses an exacto knife, changing the blade frequently, to make the required precise cuts on the top mat. 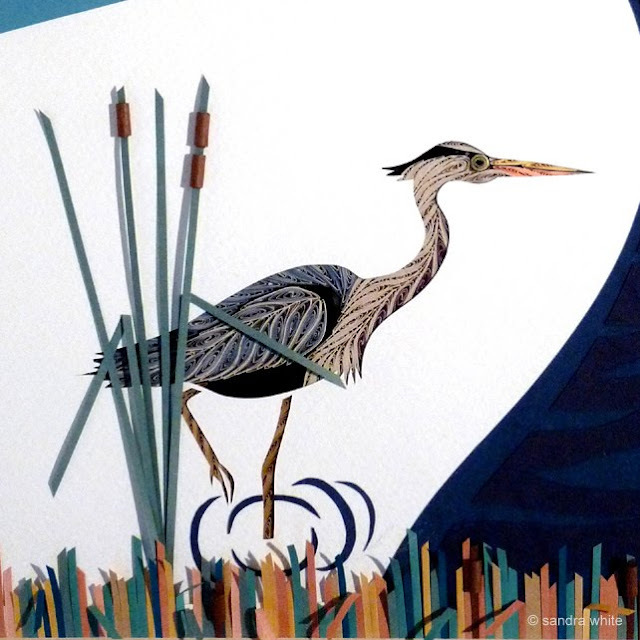 Visit Quilling By Sandra White to see many more examples of natural subjects... some of my favorites include the painted trillium, jack in the pulpit, and pink lady's slipper, and don't miss the tiny chickadees. Oh my gosh! Is this amazing or what? I wish I had thought of that :o) Her quillages (love that term) are neat! Thanks, Ann! I love her matted quilling. It gives it a sharp, precise look and guides your eye to the details of the quilling! I love to see what quillers can imagine and do! Such wonderful work - I am awestruck! Thanks so much for sharing.